Once a year I wonder whether I should only make photo books. They are beautiful, compact, and easy to share with others. Then I hear about a new collection from Crate Paper and that thought floats away for another 12 months. I love my scrapbook supplies and the tactile experience of combining them with my photos and words. But some of the time, I turn to photo books to solve particular challenges in traditional scrapbooking. Most notably, I rely on photo books when the quantity of photos feels overwhelming. This could be a vacation or a lengthier span of time. It is then when a minimalist approach to design and construction helps me feel like the project is feasible. 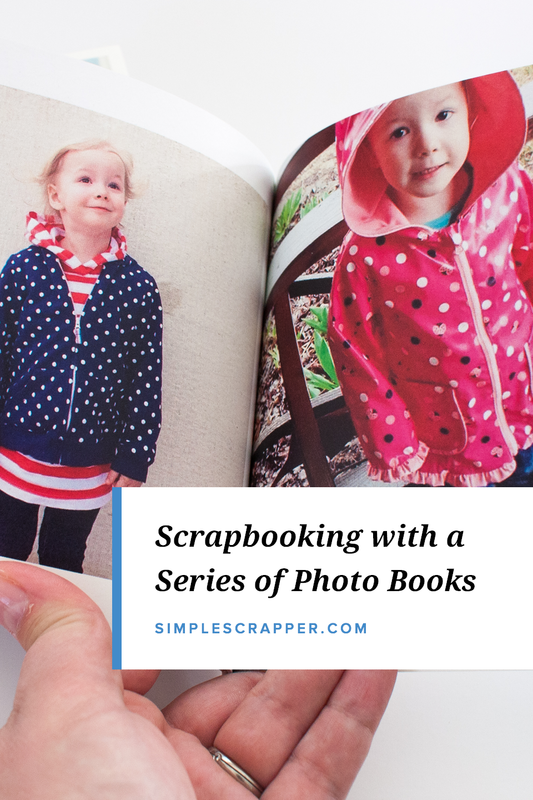 In this post I’m sharing how I’m using a series of 5.5″x5.5″ photo books as part of my overall memory keeping plan. For an off-the-cuff discussion, plus Q&A, this was also my featured topic on Simple Scrapper Live. I’m embedding the recording here for you, or you can watch the full replay on Crowdcast. After my daughter’s second birthday I recognized that my less-than-chronological approach to scrapbooking was causing a small photo backlog. It generally doesn’t bother me, because I enjoy being able to jump around and fill albums one layout or pocket page spread at a time. But, I’m not the only person who cares about these pictures. To get more of these images into the hands of doting grandparents, I started an annual series of 5.5″x5.5″ photo books using Artifact Uprising. Each book runs from birthday to birthday and since she was born August, the timing works well for holiday gift-giving. I primarily use photos that I’ve posted to Instagram, because Artifact Uprising can ‘slurp’ these in easily. I will supplement with photos from my DSLR or my phone as needed, but I don’t stress about making sure everything is included. I look on these books as a highlights reel, not an encyclopedia. I’ve also made the personal choice not to include any words, but that doesn’t mean you can’t. Journaling can be added through your photo book software or even by hand directly in the book. My favorite feature of this book series are the covers. 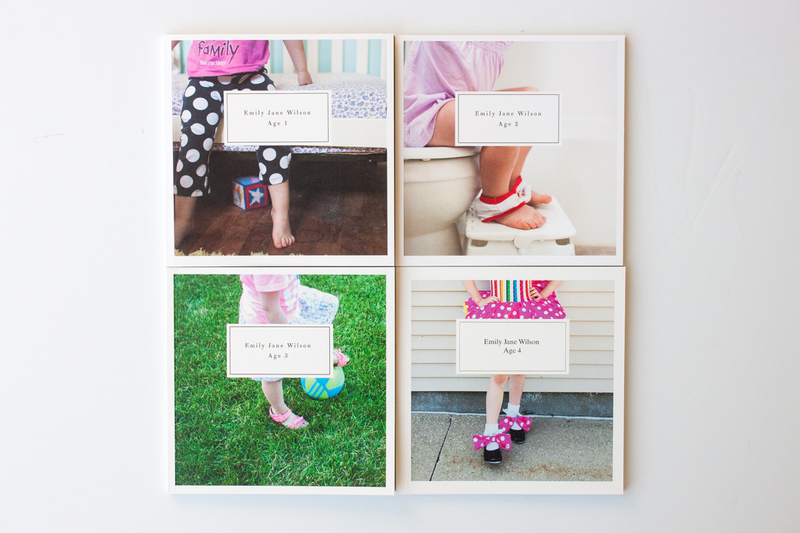 I use a photo of my daughter’s feet on each cover, as I love the symbolism and the changes you can see through them. I imagine one day there will be a pair of heels on the cover. Artifact Uprising is my favorite source for minimalist photo books, but I also recommend these providers: Blurb, Chatbooks, and Shutterfly. 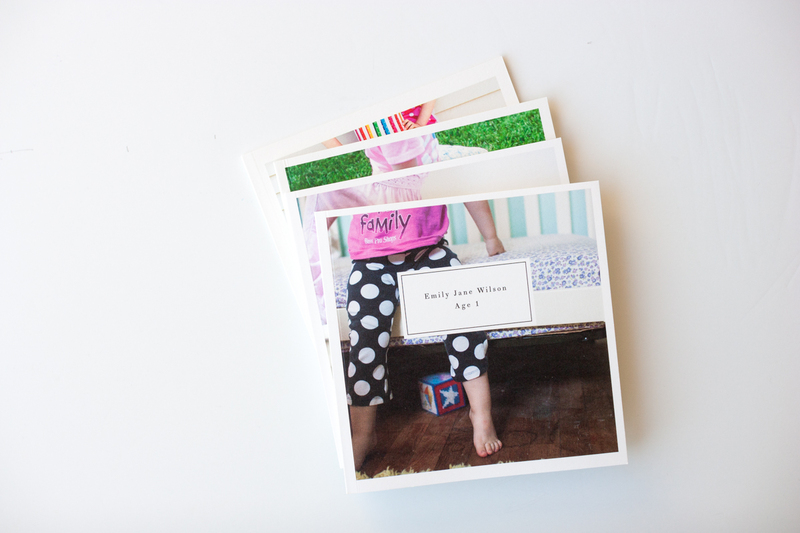 Are photo books part of your scrapbooking repertoire? Leave a comment sharing how you have used or plan to use photo books. Yes! I use Chatbooks and it pulls my instagram right in and I occasionally add some from my iPhone photos I don’t post to instagram. It takes the pressure off the need to make tons of pages right away as I have a 3.5 year old and 6 month old and not much scrapping is getting done at the moment. 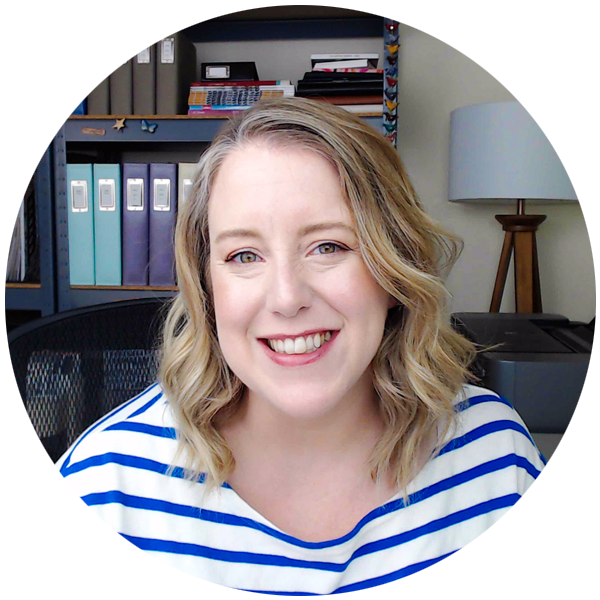 Amy, you have images in photobooks that you and your family can enjoy – that definitely ‘counts’ – give yourself the pat on the back you deserve! After watching the live feed I got so excited believing that this is the answer for all those pics I take of my g-kids. I am almost ready to send them off to one of the sources you suggested. Perfect timing, Jennifer???? Oooh, Trish, I’m sure you’re not alone – please share with us what you end up creating!